The complex challenge of optimizing powertrain in entire fleets requires a sophisticated process at the powertrain system level as well as a long-term product strategy. 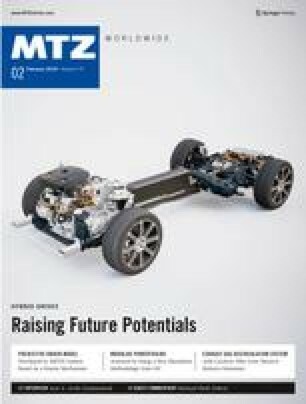 In this article IAV shows a methodology of powertrain synthesis for the simulation, objective assessment and optimization of a very large number of parameter areas for conventional and electrified powertrains as well as vehicle fleets. In order to fulfill the diverse development targets in relation to CO2 emissions, performance, comfort, weight and cost for the time frame of 2025, vehicle manufacturers are looking for the most sustainable scenarios in the context of fleet demands, modular systems and production costs. In this regard, the powertrain plays a key role. Fundamental decisions regarding the powertrain have far-reaching consequences and any later corrections often generate huge costs and time effort.